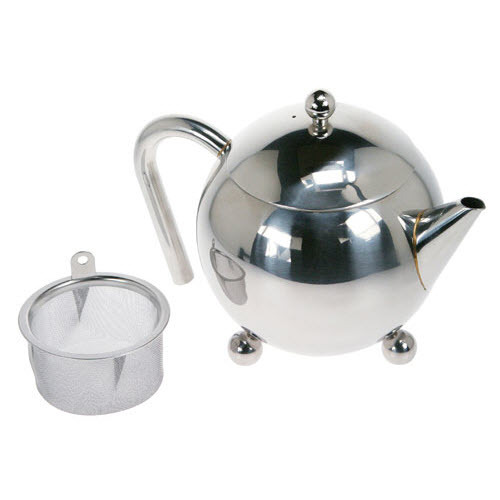 Lovely stainless steel teapot. 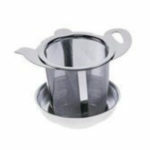 1.5 litre, makes 6-8 cups (small cup & saucer size) or 4-5 large mugs. Pours beautifully! Gorgeous round design with 3 round feet. Well balanced. 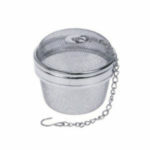 Own mesh infuser. 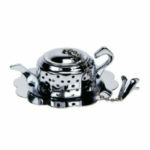 Replacement infusers also available.